When it comes to health, every part of the human body deserves attention. The teeth are no exception to this rule. Not only can poor dental health lead to difficulty eating, but bacteria harbored in the gums can get into the bloodstream and cause a multitude of other problems throughout the body. Dental health isn’t the only reason to see a doctor, however. Many people choose to see dentists for cosmetic reasons pertaining to making a nicer smile. Here are some of the services one may find at a cosmetic dentist in Morrisville. Braces are one of the most common reasons people have for seeing a dentist. Most children and adolescents will see an orthodontist at some point in their lives in order to get their teeth straightened. Although this has some health benefits, such as making it easier to reach between the teeth and get bacteria and trapped food out, many people choose to focus on the cosmetic aspect of having straight teeth. Most offices with a cosmetic dentist in Morrisville will be able to either do the dental work for their patient or recommend a great orthodontist that can. There are also a few options on the market for straightening teeth, such as Invisalign. Many adults that need to get their teeth straightened may turn more to Invisalign since it is a less obvious method than wire braces. 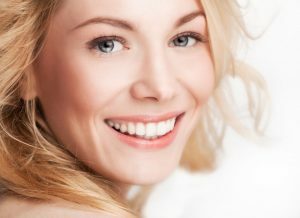 Veneers are another cosmetic reason to see a dentist. Many patients that have had extensive tooth damage may choose to get veneers to make a prettier smile. This procedure involves placing thin ceramic shells over the teeth to fix a variety of issues. The issues that are most commonly fixed in this manner are staining, cracked teeth and misaligned teeth. Pearly White Dental Care is a cosmetic dentist in Morrisville that can help with all of these needs.